The French protected foods and wine system, appellation d’origine contrôlée (AOC) is the oldest in the world and laid the foundation for the European system. 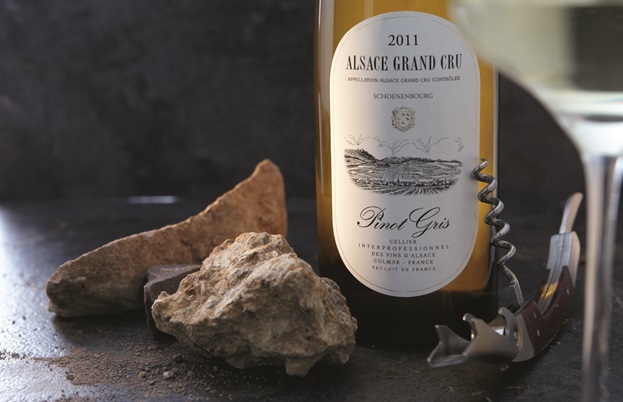 Foods protected are some of the world's most famous wines and foods, including Champagne, Roquefort and Comté. 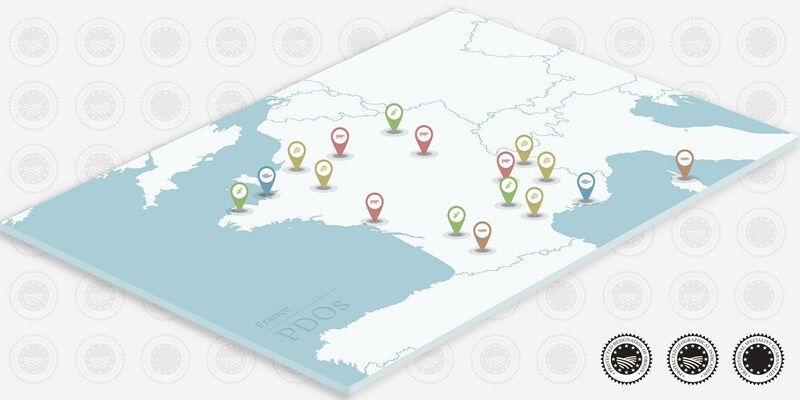 Here we explain the AOC system and the classifications of French protected foods. France has had its own mechanisms for protecting regional food for many years, with the roots of its system stemming from 1411, when the production of Roquefort was regulated by parliament. There have been several stages in the development of this protection in France, with the modern system introduced in 1919. It was primarily applied to wine, but in 1990 was extended to cover other food products. A unified EU system for protecting food was introduced in 1993. 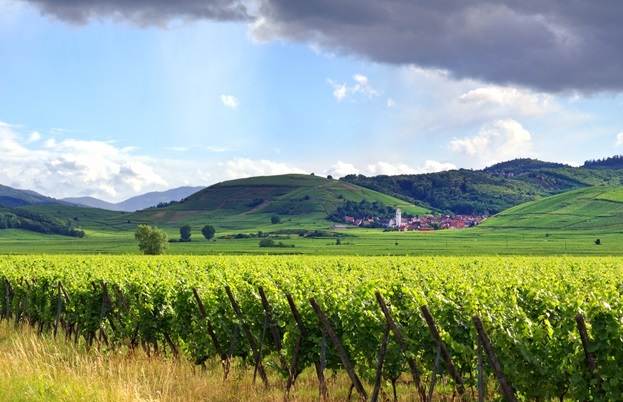 For nearly twenty years the two systems ran concurrently with each other, with the AOC classification generally taking precedence on labels, but more recently the French system has begun to be phased out. The French system, appellation d’origine contrôlée (AOC), was introduced to protect winemaking regions and was based on the concept of terroir. In practice, it covered geographical areas of dramatically different sizes and with varied geographical make-up. There were also rules dictating traditional production methods for each product and the ingredients and any additives were public knowledge. A very loosely enforced system of taste-testing was also applied to wine. Once an AOC was granted it was essentially permanent – removing this classification was all but unheard of. Although the EU system was considerably stricter and more regulated, all the French foods that had AOC at the time of the change were grandfathered in without any new checks or tests. There are very few AOC products that have been refused AOP classification, but one rare example involved Gruyère cheese, which was produced in both France and Switzerland (the latter is not in the EU, but has a trade agreement). Under the EU system, only one country can hold the AOP for a named product, so an analysis was made of who had the oldest rights to the name. The EU found in Switzerland’s favour, so although France can still make Gruyère, they cannot label it AOP. This system is being phased out, but as there is no EU law dictating a change in labelling, the AOC classification is still in use by some producers. A mandate to switch is unlikely to be introduced until 2020 at the earliest. Comté cheese has been produced in the Franche-Comté region of eastern France for the past 700, possibly even 1000, years. The cows which produce milk for Comté – they must be Montbéliarde or French Simmental cows – graze in the high pastures of the Jura Massif mountain range, home to a unique flora of wild flowers and herbs. There are restrictions on the number of cows that can graze per hectare, as well as the use of silage feed, antibiotics and growth hormones. The dairies (fruitères) that make the cheese are no more than twenty-five kilometres from a farmer’s herd and the unpasteurised milk must be made into cheese within twenty-four hours of milking; typically it is done in less than twelve. The young cheeses are taken to aging cellars in the region (Jura maisons d’affinage) where they are managed by extensively experienced workers who age the cheese for a minimum of four months (sometimes years). 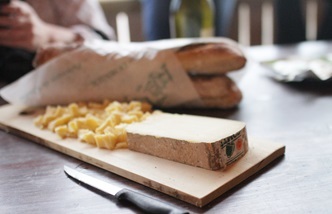 All cheeses are tested for taste and appearance before being allowed to carry the Comté AOP classification. The result is a strong, slightly sweet cheese with eighty-three separate flavours detectable in the paste. As the diet of the cows changes with the passing seasons, the flavour will too change subtly over the year. The protected area corresponds to historic Brittany – an area in the north-west corner of France, west of the city of Le Mans. All aspects of the cultivation and processing of buckwheat and the resulting flour take place in the protected area. However, in this example, although the geographical conditions of the area are favourable towards buckwheat (temperate oceanic climate, slightly acid soil), they are not unique, meaning the food cannot be designated AOP (PDO). Instead, the strong geographical link for this product is the history, tradition and reputation of producing buckwheat in the area. Buckwheat has been produced in the area since the 14th century, both farming and processing the seeds into flour. The ingredient is also a very strong feature of traditional Bretton cooking which centres on buckwheat crêpes and galettes. The seeds, which are smaller than other strains of buckwheat, are produced using cultivation techniques that are specific to the region – techniques which, unusually, do not require the use of weed killer. The resulting flour is darker in colour with a more pronounced flavour and aroma than other types of buckwheat flour. The product must have characteristics that distinguish it from similar products and although methods of production are historically fixed in the same way as AOP and IGP, they must have been consistent for at least the past thirty years. These mussels are generally produced on the north Breton coast and are farmed using traditional methods of aquaculture that are thought to have originated in 1235. Mussels are grown on ropes strung from wooden poles (bouchot) in the sea, at least 30cm above the sand to stop them picking up grit and barnacles as they grow. Only two species of mussel – Mytilus edulis or Mytilus galloprovincialis – can be used to make Bouchot mussels. The regulations also cover the natural collection of mussel larvae, the growing period on the poles, stocking time, meat content and shell size. The result is grit-free mussels with smooth, regular, dark shells. They are particularly tender and juicy, with full, plump, orange-yellow meat and a clean flavour.